NITI Aayog accepting applications for the setup of Atal Tinkering Labs - Robolab Technologies Pvt. 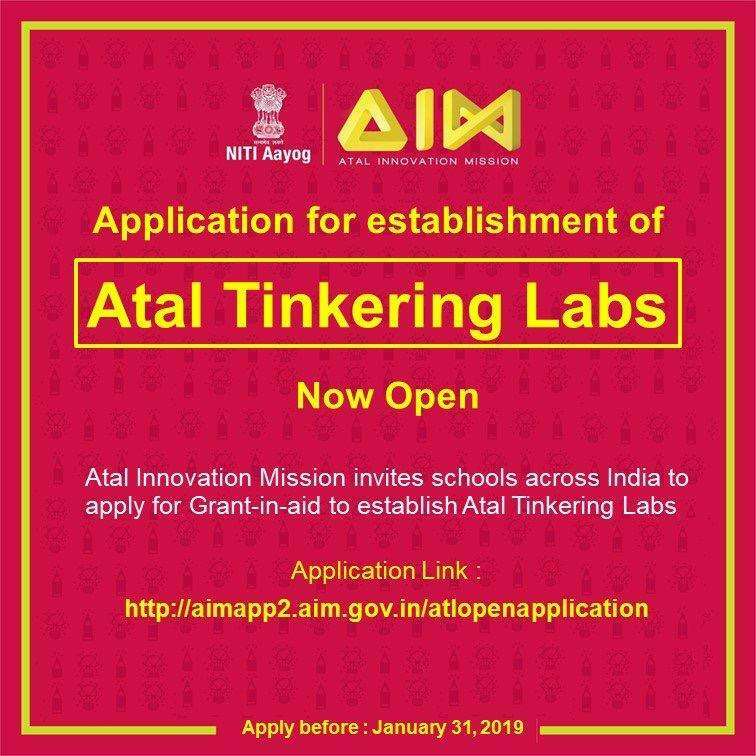 Ltd.
Atal Innovation Mission, NITI Aayog has opened up once again applications from secondary schools ( having Grade VI upto Grade XII ) for the setup of Atal Tinkering Labs in the schools. This is aligned with our endeavour to ‘Cultivate 1 Million+ children in India as Neoteric Innovators’. Schools are instructed to fill the application form, and submit desired documentation at the earliest. Schools are instructed to read the manual at the below link carefully before applying.